Claudio Ranieri took over as Fulham boss last week. 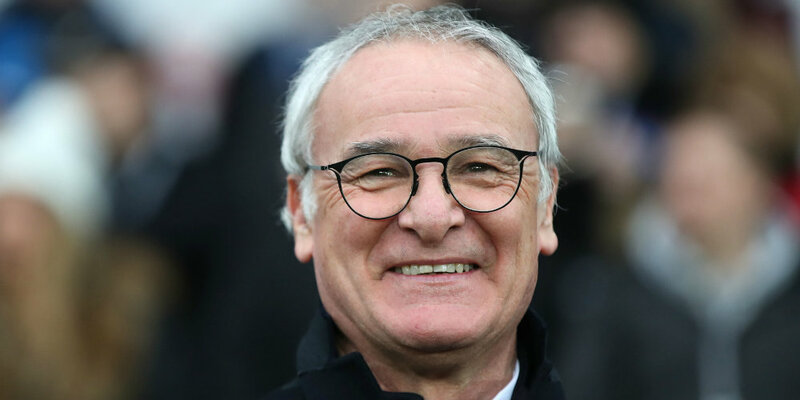 New Fulham manager Claudio Ranieri has his work cut out for him at Craven Cottage to keep the West London club in the Premier League, according to bookmakers. Ahead of his first game in charge – a home match with fellow strugglers Southampton, coached by ex-Whites boss Mark Hughes – Fulham are odds-on to end the season with relegation straight back to the EFL Championship. This is despite a favourable festive fixture list that sees Ranieri’s new team play four of the seven sides immediately above them in the Premier League table at the time he took the job. Fulham have the worst defensive record in the top flight by some way after recruiting heavily in the summer and the rearguard is scarcely recognisable from the one used by Slavisa Jokanovic in their promotion campaign last term. A key date for the diary is Wednesday, December 5 as Ranieri faces former club Leicester City – the side he managed to a miraculous and against-all-odds Premier League title triumph in 2016 – for the first time since his sacking from the East Midlands outfit. Fulham host the Foxes at the Cottage and – as with subsequent games with West Ham, fellow promoted side Wolves and relegation rivals Huddersfield Town – taking points off these teams in and around the dogfight at home will be vital. There is also a trip to Newcastle United, who are really lacking strength in depth, to consider. If “The Tinkerman” is able to work his magic in time for that string of potentially winnable games before and during Christmas, then the 13/10 price with moplay.co.uk about the Whites staying up cannot be dismissed entirely. Upon replacing Jokanovic with Ranieri, Fulham chairman Sahid Khan described the new manager as “risk-free and ready-made for the Premier League”. Every change of coach comes with risks, however, and the Italian has a very different message for Whites fans since his appointment. Ranieri’s mantra is hard work and fostering spirit, while he was quick to draw a line under the “miracle” of his Premier League title at Leicester when unveiled as Whites boss. The slate, it seems, is wiped clean. Yet Khan is right to an extent. Ranieri does bring a ton of Premier League experience – nearly 300 games in English football as a manager – to the table, albeit much of it at the other end of the table. Relegation battles are not entirely foreign to him, however, as he saved the often troubled Parma back in 2007, who have met oblivion and been reformed since. While Fulham are probably lacking that Serie A side’s cult status from Football Italia in the 1990s, they do have a number of well-regarded players who are yet to really gel. Ivory Coast midfielder Jean Michael Serri was one of the coup captures of the summer at the Cottage (on paper at least), having previously been linked with a host of top European clubs. Andre Schurrle, meanwhile, is a World Cup winner with Germany and a winger who has real form as an impact sub. Left-sided player Ryan Sessegnon is only a teenager and widely touted to go to the very top. Whether the likes of him and Serri stick around at Fulham for the long haul or just use Craven Cottage as a springboard remains to be seen. If Ranieri cannot find the right blend, then the Whites are 11/4 to finish bottom – the spot they occupy as his tenure begins.